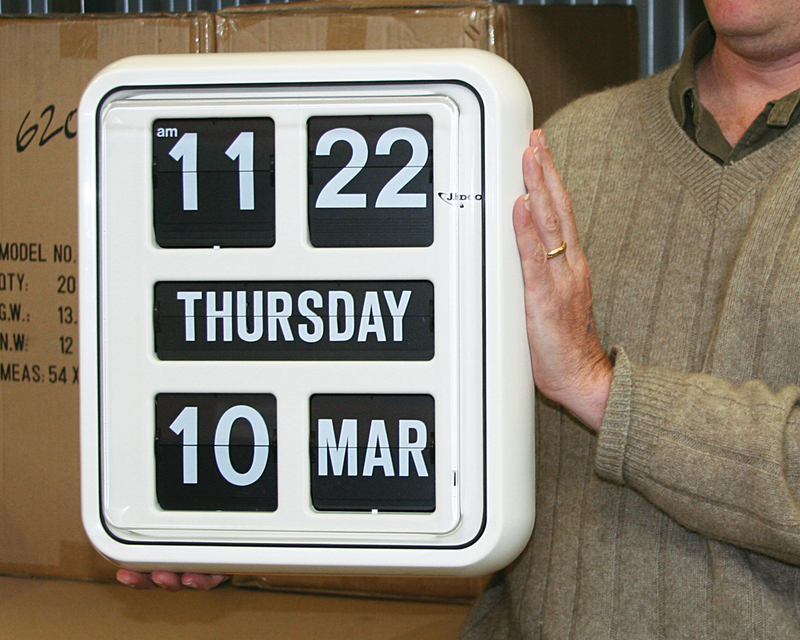 Categories: Calendar Clocks, Digital Clocks, Large Clocks. 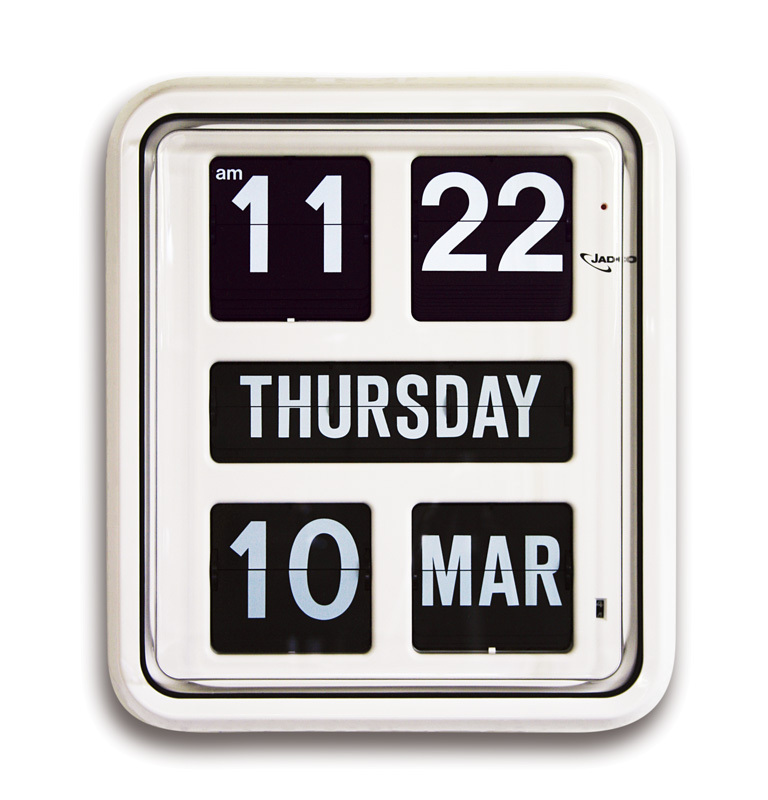 Tags: Clock for Alzhiemers, Day spelt in full, digital calendar clock, Large flipcard clock, Orientation Clock, Perpetual Calendar Clock. 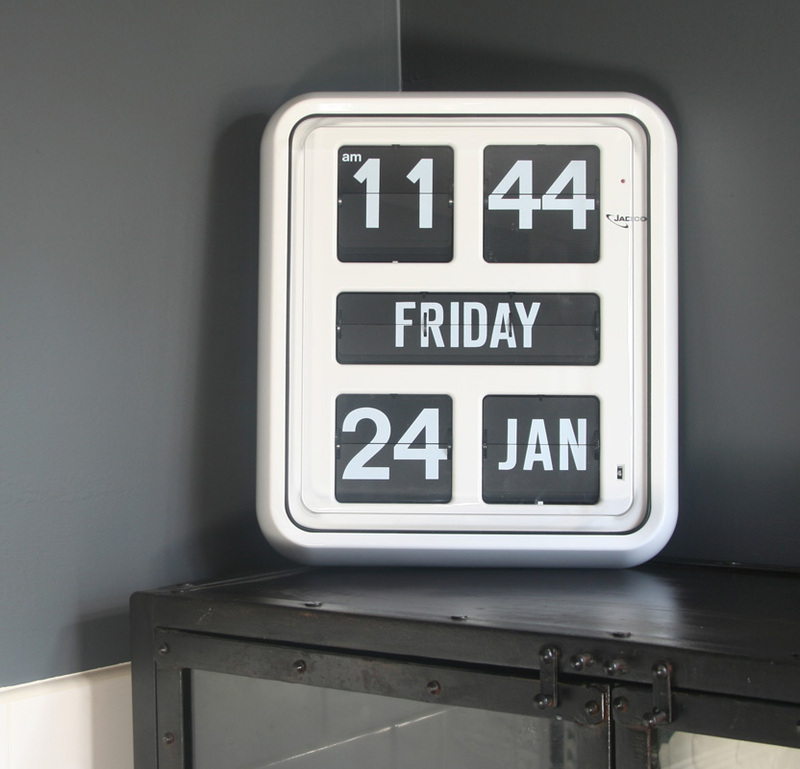 This large digital calendar clock has the day of the week spelt in full. 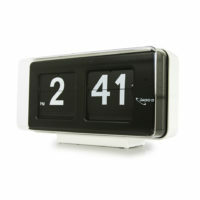 It is easily read from 20 meters distance and the clean design is ideal in both home and business interiors. Features include a reliable battery-operated German movement and an automatic calendar function that self-adjusts for leap years. 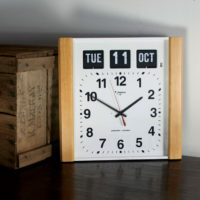 The 12 hour format has an AM/PM indicator and the day of the week is spelt out in full.